Marked by yachts and crews from all over the world, Key West Race Week brings one of the most important international regattas to the waters off the Conch Republic. 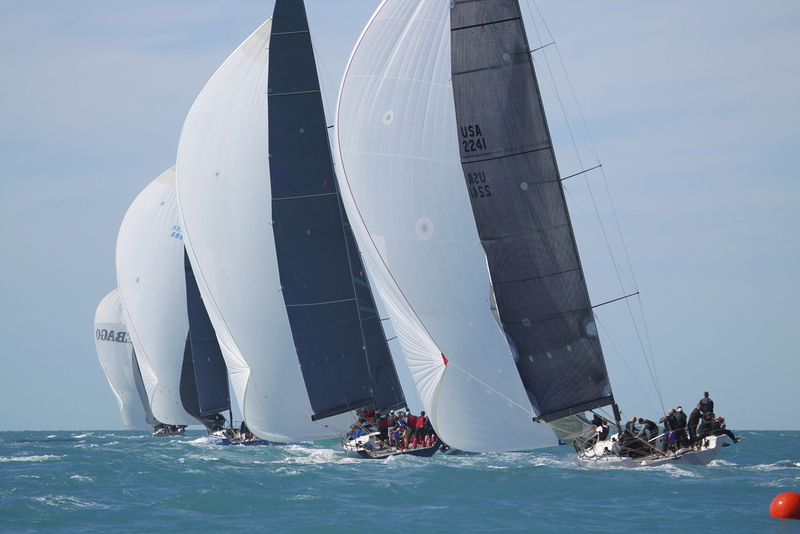 With a wide array of sailboats, ranging from the popular J/70s to the C&C 30s, Key West Race Week appeals to not only the serious competitor, but also the weekend enthusiast.Whether you’re in it to win it, or just want a piece of the action, Key West’s 5 days of yacht races are some of the most exciting that this hemisphere has to offer. Big waves and big sails are what visitors can expect over Key West Race Week 2017. Starting January 15 and lasting through January 22, the Quantum Key West Race Week takes over the island with races starting daily at 11:30 a.m. If you’re interested in participating but don’t have a boat of your own, participants are able to charter boats for the race. Usually there are several Flying Tiger 7.5s available, as well as J/120s and J/70s. You can consult the Quantum charter page here. Yet the Quantum Key West races aren’t reserved only for those racing. They also are something to see – yachts facing the waves of the Atlantic head on, the crews scrambling back and forth, sails making leeway in the tight races that always run neck and neck. If you want to see the races up close, the official spectator boat, the America 2.0, sails to where the action is. However, if you’d rather stay on land and get three sheets to the wind, Key West’s The Waterfront Brewery is the 2017 host venue. With their selection of in-house brewed craft beers, the Waterfront Brewery is up to the task whether you’re drinking a lager, pilsner or IPA. In fact it’s rumored that their upstairs deck will be opening in early 2017, which we’re hoping is in time for Key West Race Week, as it will be quite the view of the Key West Bight. See you on the docks!